» What Does Christopher Nolan Have Against Buildings? In a well-regarded new book about horror films, author Jason Zinoman posits that Brian De Palma’s career-long fascination with voyeurism isn’t, in fact, merely a Hitchcockian tick, but actually a profound psychological clue. Young De Palma, it seems, was recruited by his suspicious mother to snoop around and record evidence of his father’s adultery. (According to Zinoman, De Palma refers to this disconcerting detective work as his “first” movie.) So if recurring motifs in films can speak to deep adolescent trauma then the question must be asked: What the heck did a building ever do to Christopher Nolan? Just take a look at the newly released teaser poster for Nolan’s upcoming blockbuster The Dark Knight Rises: The vertiginous image has us placed precariously in the center of cluster of crumbling skyscrapers, the disappearing sky cut into the shape of the bat signal. Compelling, right? Yes, but also profoundly disturbing. You see, Nolan’s deep-seated hatred of civic structures stretches throughout his filmography. First came the relatively benign poster for Batman Begins, in which a crowded downtown is transformed into a menacing bat aviary. (In the film itself, who suffered more: noble surprise-baddie Liam Neeson or Wayne Manor, a lovely neo-renaissance country house that, in the third reel, gets torched and annihilated with fetishistic abandon?) 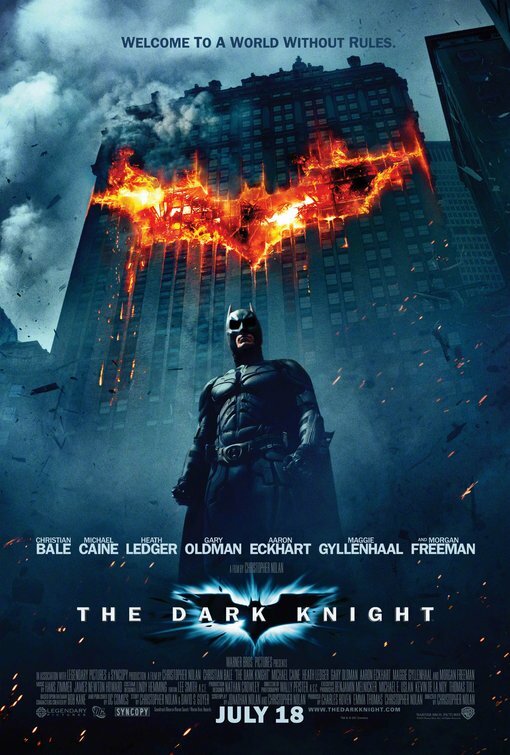 Then, with The Dark Knight, Nolan’s architectural violence took a savage turn as he slices a flaming bat symbol into blameless edifice on the poster, and then racked up a bloodthirsty building body count on-screen (a warehouse, a hospital) while allowing a pair of bomb-rigged ferry boats to miraculously survive. But it was with last year’s Inception that Nolan’s demons really took hold. Not just on the “look out, here comes a city!” poster but in the movie’s most iconic scene in which bendable housing blocks are filmed as ominously as Jaws stalking Richard Dreyfuss. And how about the ending — the figurative “bottom” of the dream space — in which ancient structures crumble into the sea like sand castles? Nolan is clearly dealing with some serious issues — and it’s safe to say those issues have elevators, central air-conditioning, and a helipad on the roof. While it would be fruitless to guess at the roots of Nolan’s building-phobia (Was he rejected from architecture school? Does he have a Godzilla fetish? Or maybe he’s just really, really bad at this game?) we can at least take solace in the fact that he seems to be processing his pain in a healthy manner. The actual, not-making-this-up clinical name for a fear of being near skyscrapers? Batophobia. And so, we’re looking forward to next summer when Christian Bale will tackle an evil even more insidious than the Joker: urban blight. Zookeeper: Doomed by Too-Big Talking Animals?